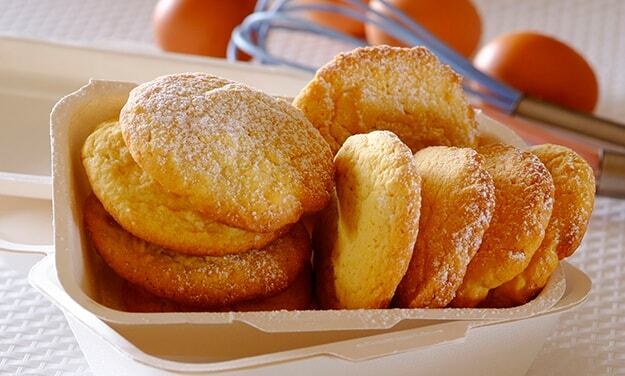 Need an easy biscuits recipe? Try this wafer biscuits recipe for a delicious baked treat today. Stork – love to bake. Combine the dry ingredients and add to the creamed mixture. Mix well. Drop teaspoons full of the mixture, about 5cm apart, onto a greased baking tray and bake for about 12 â 15 minutes or until the edges are golden brown.